RASH is a contemporary story of modern urban Australia and artists making it a living host for illegal artwork called street art. This award winning feature length documentary explores the cultural value of unsanctioned public art, and graffiti’s contribution to public dialogue. 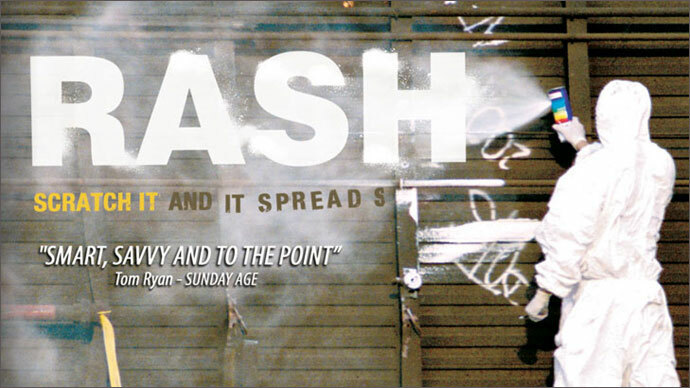 In 2006 RASH screened in Australia on ABC and in 2008 on ABC1. This title continues to tour international film festivals and has been publicly broadcast in the USA, Canada, Portugal and other countries.